If you have been slouching on your office desk while you are at work, you might have already noticedyour rounded shoulders with the neck pushed forward. You might also feel like your posture is similar to a question mark when you stand up to leave. If this is happening to you, you are one among the people who go through postural issues due to working in the office. Worry Not! We Have Five Exercises That Could Just Resolve Your Hunchback Problems! Turning to the wall, stretch your right arm and place your hand against one side of the wall. Turn your body to the left and lean ahead as you feel a stretch in the chest and your shoulder. Ensure your arms are in the plane of your shoulders when you finish the stretch. Hold this for a while and repeat on another side. Besides stretching, a massage ball can also aid in restoring muscle flexibility to your chest. 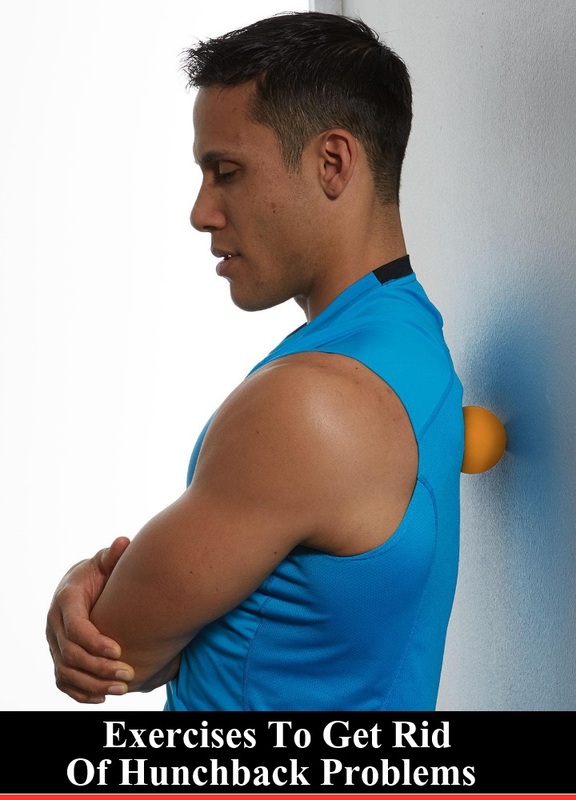 Having a massage ball in both hands, press the ball and roll it from one side of your chest to another. As you do it, maintain steady pressure to areas where you feel tight so that the tension is relieved. 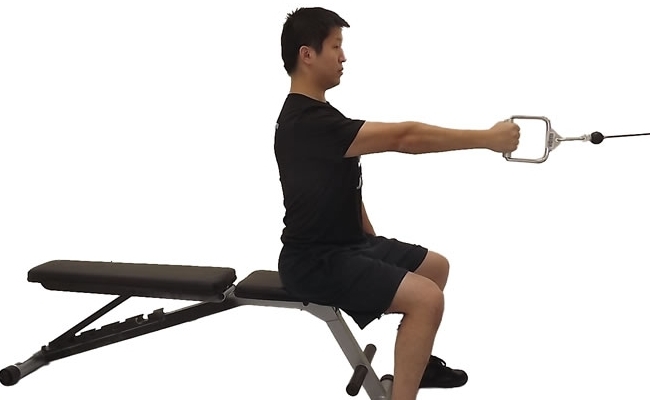 This is another technique that can enhance spine mobility and proper rounded shoulders. 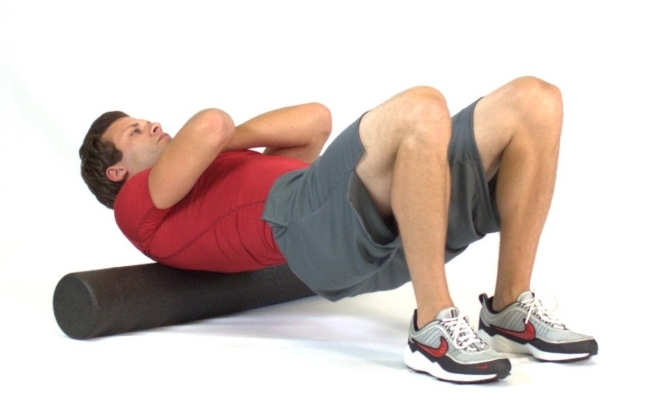 Place the foam roller across the spine in the centre of your back just below the shoulder blades. With bent knees, feet grounded against the floor, and hands behind your head, lift your hips off the floor and roll forward so that the foam roller goes down your back an inch, and later drop down to the floor. Repeat the process until the roller comes till the neck and then reverse the process. This exercise has completes a lot in one go. It rotates the shoulders outward, extends the abdomen, stretches the chest and powers the lower back extensor muscles and also the upper back muscles which is associated with the posture. Lie flat on the ground with legs apart and arms stretched in a “Y” above the head. Lift the torso, simultaneously rotating the shoulders externally so that the palms are looking upwards. Hold onto this for 10 seconds and get back. This could be done using a cable machine or a resistance band. Wrap the band around an object that is at chest level and is stable. Take a few steps back with a little bend in the knees and feet placed apart. With your head held high, shoulders behind, chest outward, back stiff and the ABS tight, pull the bands towards the sides of the torse as you contract shoulder blades. Resist the band until your arms are totally stretched. Once you start practicing these exercises, you will gradually get rid of the hunchback problem.